Don't be caught unprepared in an emergency. 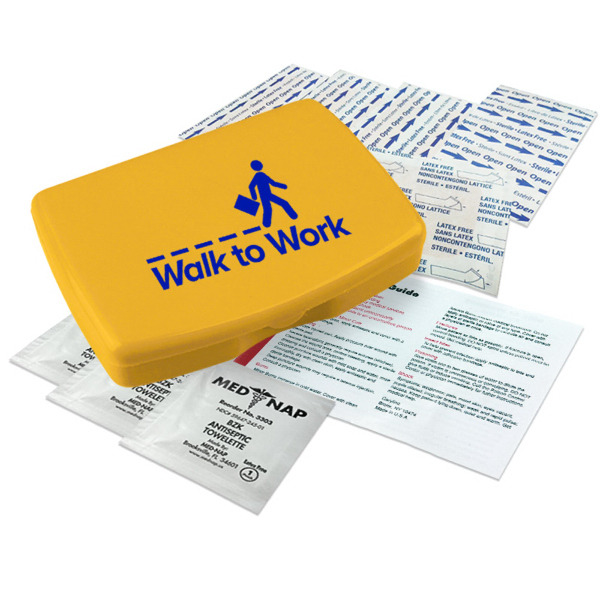 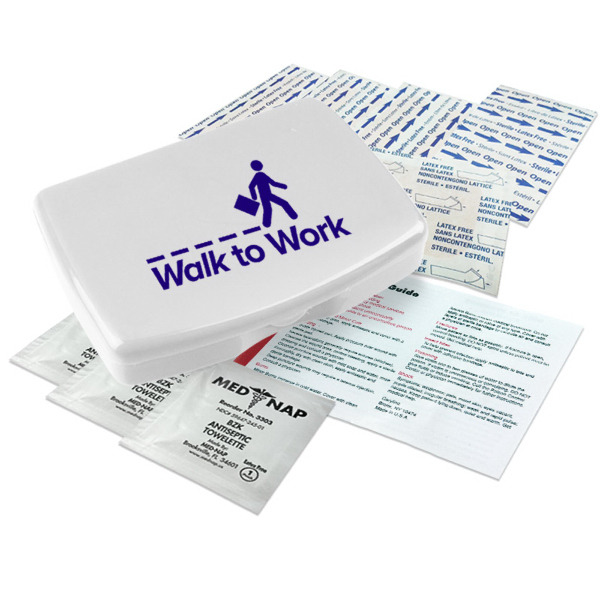 This first aid kit comes in a durable hinged box that fits easily into backpacks, purses, and glove compartments. Contains 6 latex-free adhesive bandages, five junior bandages, three antiseptic towelettes, an extra-large bandage and a first aid card. Ideal for camping trips and traveling! 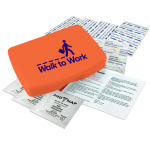 Add your custom imprint and hand out at wellness events. 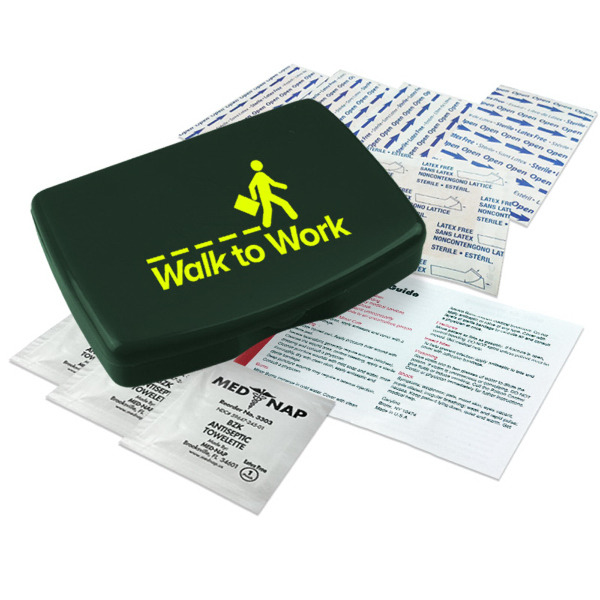 This first aid kit is union made in the USA. Size: 3 1/8" x 4 1/4" x 7/8". I'm interested in learning about the Express No-Med First Aid Kit. Please contact me.